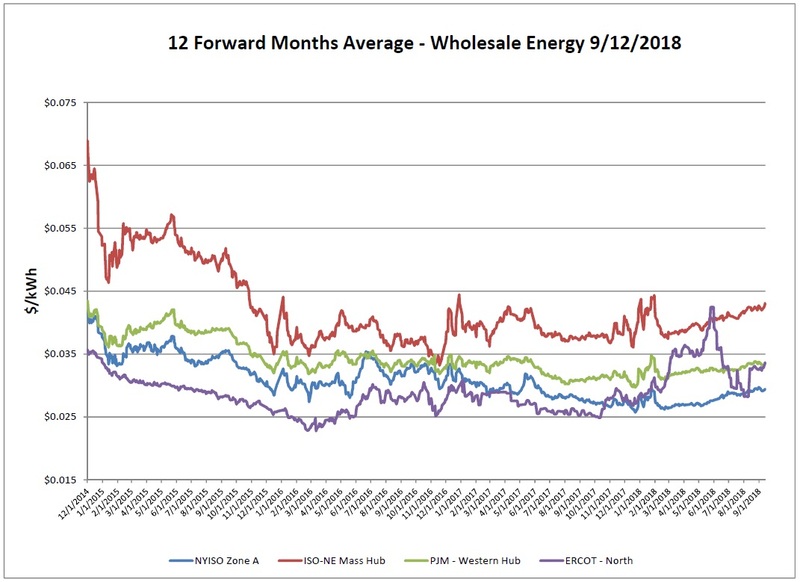 Over the report week, NYISO and PJM were relativity flat while ISO-NE continued its upward trend. Unseasonably low temperatures were reported in many of the markets over the report week, thus not much activity on the day-ahead market. 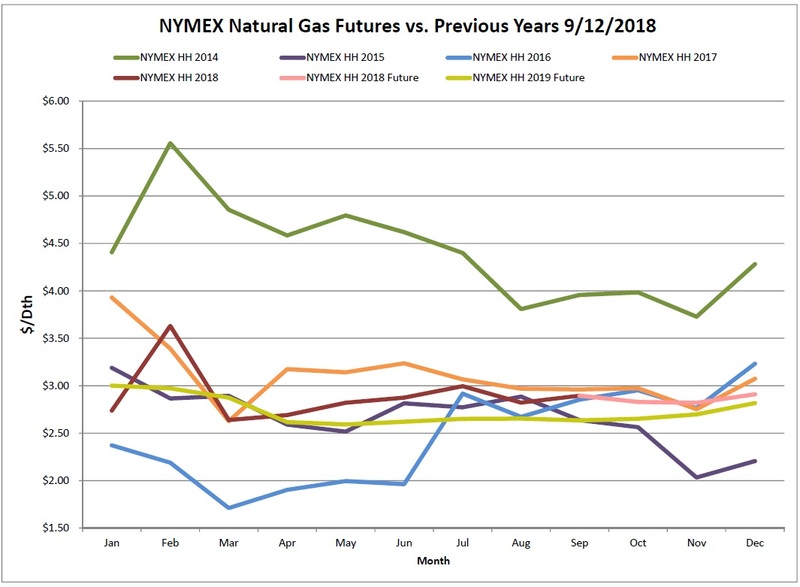 NYMEX natural gas prices saw little change, up 1 cent on the 12-month strip. The Algonquin basis however saw a much greater increase, up 9 cents. 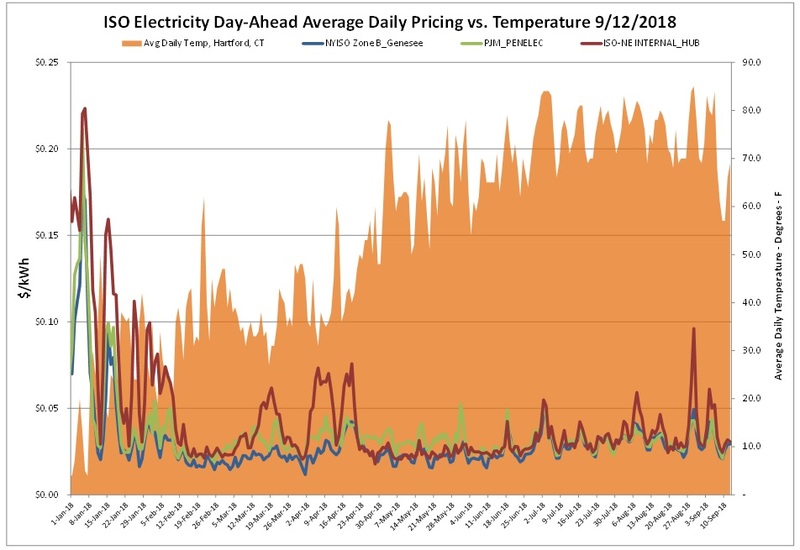 According to EIA estimates, a net increase of 69 Bcf was reported. Working gas in storage was 2,636 Bcf as of Friday, September 7, 2018. Expectations hovered in the neighborhood of 70 Bcf, slightly less than the 74 Bcf five-year average, and far less than the 87 Bcf seen last year for the corresponding week. Current stockpiles are in deficit to the five-year average and totals are not getting any closer to mitigating the gap between the lower end of the 5-year average. 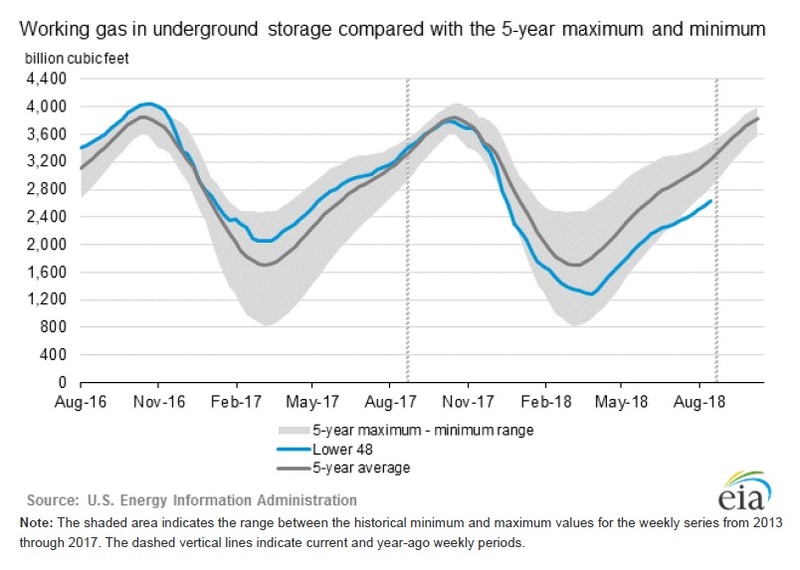 EIA projects that natural gas storage inventory may be only 3,270 Bcf at the start of the 2018–19 winter heating season, the lowest level for the start of winter since 2006. Although the inventory level at the start of injection season was low this year, it was not as low as in 2014 when the Polar Vortex resulted in an end-of-winter inventory of less than 900 Bcf. 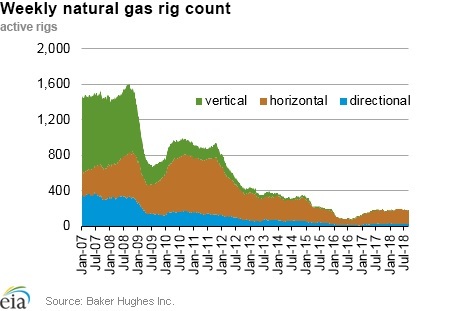 The Baker Hughes exploration gas rig count is flat across the board. The total rig count went unchanged from the previous week of 186 and the report total was also the same as the number of rigs in operation last year. Currently, Tropical Depression Florence continues to wreak havoc on the Carolina’s as it makes it slow march further in state. 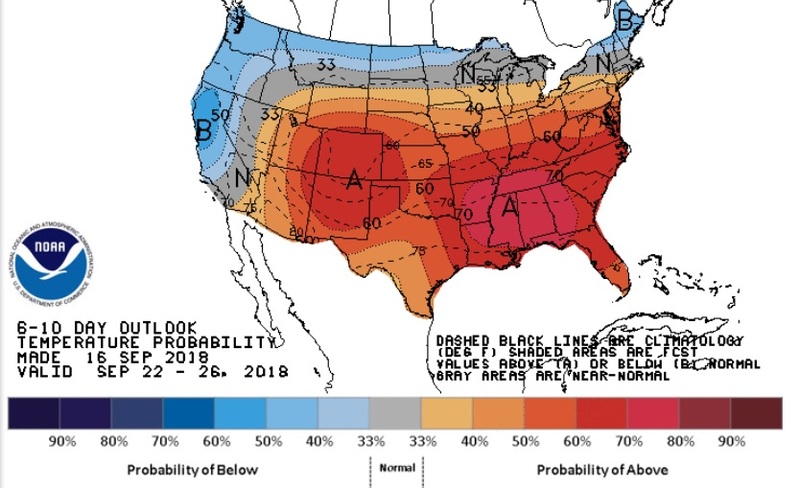 Weather forecasts for the 6-10 day forecast continue to show above average temperatures through late September for lower portions of the country, while the Northeast and West Coast are expected to see some below normal temperatures.